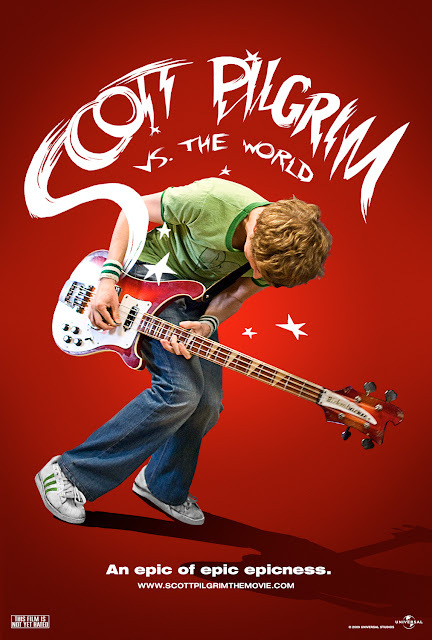 Similarly to Hot Fuzz (2007) (which I watched about 80% of with my friends/neighbors on New Year's Eve, immediately followed by this film), age has dulled a bit of the sheen of Scott Pilgrim Vs. The World (2010), a film which up until now I have always rated a perfect score. This was my fourth time watching SP and my first since 2012. While I did detract a full star, I still love it dearly. Unlike Fuzz, I think the CGI still holds up well in Pilgrim because it isn't supposed to be hyper-real, but rather fantastical, like the video games it frequently references. The production design, costumes, casting, and, of course editing (it's an Edgar Wright film, after all) are all fantastic. It's also commendable how well the film adapts the graphic novels by Bryan Lee O'Malley.